Our Unscented Sanitizer Base allows you to make your own hand sanitizers by just adding drops of your Essential Oils or blends. For a clear sanitizing solution, add up to 1% essential oils and mix well. 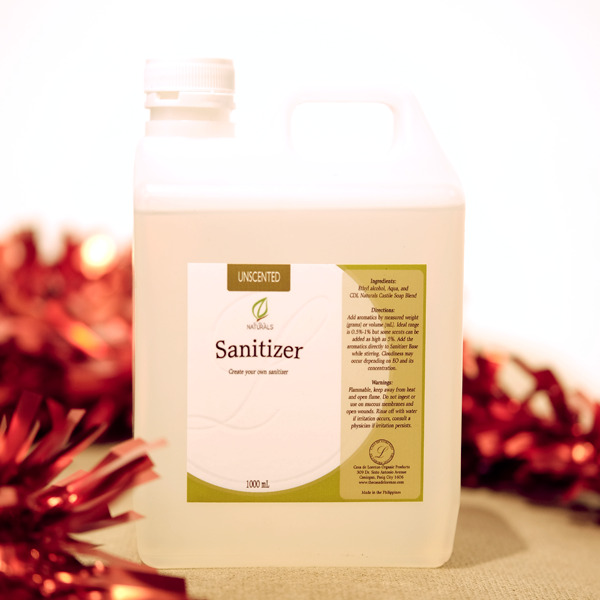 Should your sanitizer creation become cloudy, you can wait for a few days and it will clarify. This can be used as well as an ingredient for linen spray, just add first the essential oils and mix, then top off with 30% distilled water. It will be a cloudy solution but putting too much water may result in essential oil separating. *There may be some essential oils which will remain cloudy so please do test in small quantities and let it rest for a few days.